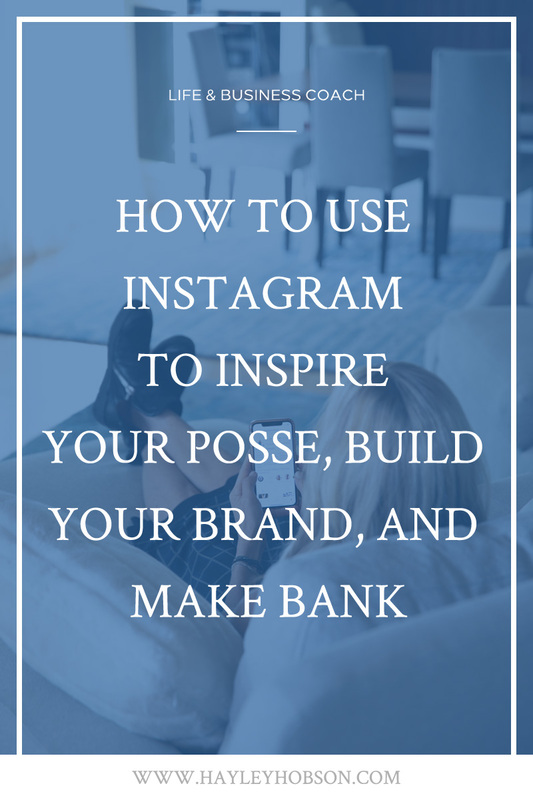 For getting real and inspiring my fellow badass biz ladies, Insta is where it’s at. I love this platform which is why I’ve worked hella hard on my IG game to engage and reach almost 30k followers and counting. Believe me, I started at zero just like everyone else. There’s a lot of value in Instagram but one of the things I like most is it lets me get up close and personal. I get to show the world the real me, the real Slim Sha...errrr...Hayley Hobson. Those likes and comments go way up when I’m truly being real with my audience — sharing my fears, talking about getting my daughter ready for school or sharing my own biz successes. And I’m not just inspired to post because Instagram hit 1 billion active users this summer…. I love helping people lead conscious lives and Instagram gives me a platform, hell — a megaphone — to reach them. ...And if I can reach just a slice of that 1 billion user pie, count me in. Instagram has been rising through the ranks as one of the fastest-growing tools for businesses both new and established. It allows for a ton of expression and creativity and has so many options from regular posts to IGTV and Instagram Stories. It’s given me a chance to really connect with potential and current clients. For even more tricks, make sure you check out my latest Whole You podcast, where I’m joined by Instagram aficionado Tyler McCall. This guy has been featured in The New York Times, The Influencer Podcast and is seriously helping entrepreneurs just like you grow and use their Instagram. Don’t get overwhelmed if you’re like... what’s IGTV?! Instagram, like all the other social channels, is constantly evolving and there’s a lot to learn. And don’t fret if you’re brand spankin’ new, there are a ton of free resources out there in internet world that can get you started. Honestly, I’ve said it before, not using Instagram (or social media in general) is like sitting on a treasure chest but never opening it because you can’t find the key. You don’t need to be perfect. Just start taking action and the followers will follow. What I want to focus on is CONTENT...what you’re putting out there to the world. It’s not about the number of followers you have, it’s about sharing your message. So get clear on what your message is. Be real. Show up consistently. It’s really that easy. It’s about quality over quantity. Trust me, 100 true fans who are inspired by your message are better than 10,000 people who only follow you because of your cute selfies. It’s about understanding your audience and talking to your clients. What kind of content do THEY want? What do they resonate with? This is something you only learn through trial and error. Don’t feel overwhelmed, you got this. 1. First things first, stay on brand and on point. Consistency is key. Just like the rest of your branding, your posts should have a similar look and feel. Use the same filter(s) for your shots, post photos that follow a theme and let your personal brand shine through. If you’re jazzing up your posts with graphics or quotes (which is a great way to share your message! ), make sure the fonts and styles you choose align with your brand as well. 2. Resist the urge to post your mac and cheese dinner pics. Ha! As good as it tasted, you’re not going to speak to your followers through your favourite noodle dish. Instagram is visual. It’s creative. It should be used to Inspire! So keep that in mind when you’re snapping photos. If you have a friend who has some photo skills, invite them over for tea and have fun doing a photoshoot. If you can afford a professional camera or hiring a pro, great, but honestly you can get some great shots with a little time and creativity. If you’re selling product...grab a white sheet as a backdrop and use the lamps in your living room for lighting. Download a pro editing app online to give your photos an added (and consistent) touch. Just keep in mind, it’s better to not post, then post a crappy photo. 3. Inspire and convert the following you have. I’ve said it before, and I’ll say it again... It’s great to have a “k” after your number of followers but that shouldn’t be your goal. Work on interacting and inspiring the following you already have. Once you start speaking to them, in a real way, you’re going to start seeing those followers turn into real customers. I get really excited about Instagram’s Stories feature for this reason. Instagram Stories allows your audience to really get to know you. Try posting about A Day in Your Life and see what happens! I use Insta Stories when I’m at a conference or an event...or to promote my podcast, or to engage and encourage people to sign up for my newsletter. Speaking of events, are you joining me for my first LIVE one in Boulder in December? Check it out here if you’re ready to stop wishing and start doing! There are sooo many opportunities and you can have so much fun with it. 4. Interact, repost, ask questions. I love Instagram for how interactive it is! Like other people’s posts….or do you LOVE someone else’s post? Share/repost it! Got some biz babes you are collaborating with? Show each other some love or team up to do a contest. Your followers will see you interacting on this platform and it shows that establishing those real connections is important to your brand. Becoming Insta-fabulous is a journey, have fun with it! In the end, it’s going to come down to some trial and error, just like in other areas of your biz. After just a few posts, you will learn what drives engagement and what doesn’t. Don’t give up. 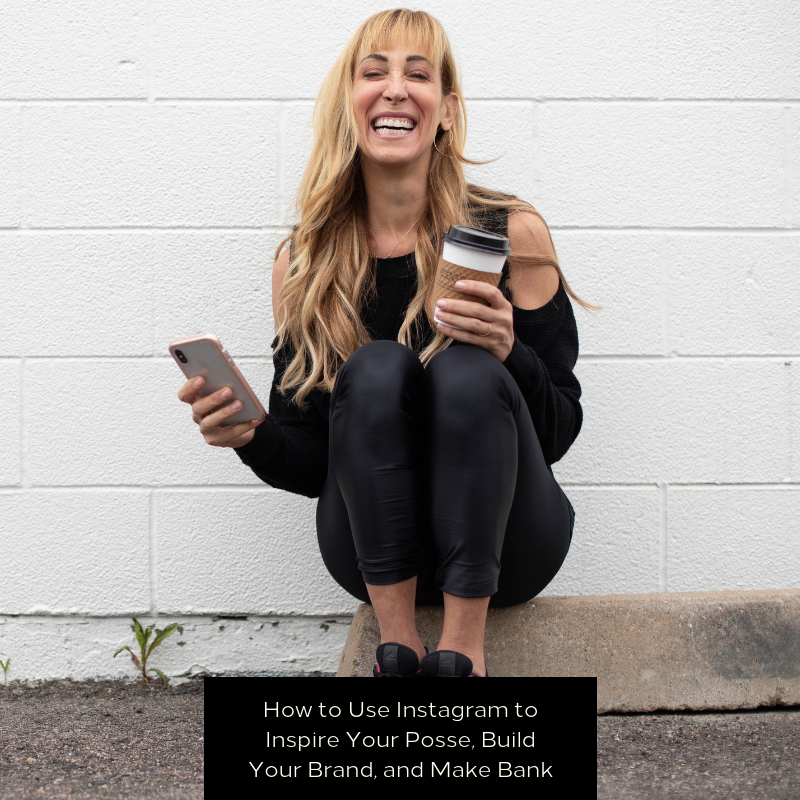 You will find your IG stride and soon enough, your brand will be blowing up algorithms and reaching your ideal clients. Believe in what you’re doing. People want to see your posts. They WANT to get to know you, the real you. What’s your favorite Instagram feature and how to you use it for your biz? Let me know in the comments!